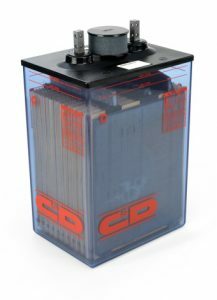 C&D Technologies, an experienced manufacturer of round cells, introduces the LCT II-1700. This flooded battery incorporates proven and reliable floating epoxy post seal design and features solid copper posts to improve short duration (less that 5 hrs) rates up to 12% over comparable products. This combination makes the LCT II-1700 a superior, high quality, reliable, long-life battery for today’s standby applications. LCT II-1700 comes with a 25 year warranty: 5-year full and 20-year pro-rata.